It didn’t occur to me that you could put normal ink into rollerball pens, but that’s the exciting thing about the J.Herbin rollerball. You can choose which colour you want to use, as you would a fountain pen, and change it whenever you like. To go with my rollerball, I got some J. Herbin ink cartridges (it takes any standard cartridges). 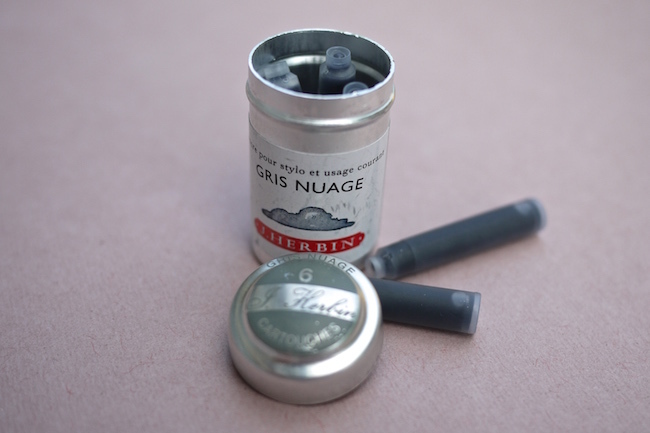 I chose Gris Nuage (grey clouds). I tried a few J. Herbin inks now and I wanted to choose something a bit random. Plus I love grey. I did find this colour is quite light, so perhaps not an everyday writing pen. Maybe it would work better in a wider nibbed pen too. It’s a simple design. 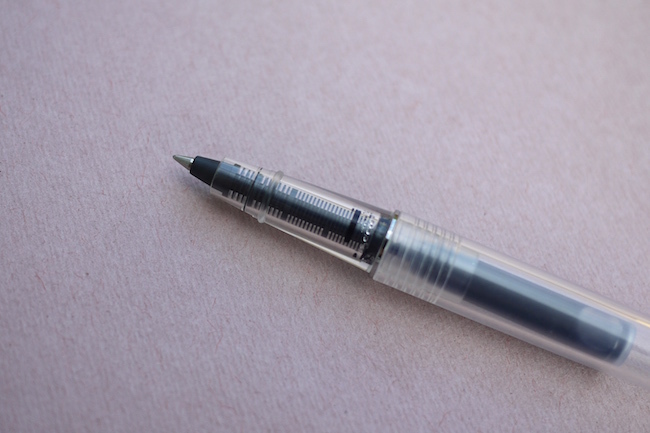 A demonstrator (see-through) pen, which is a good idea so that you can actually see what colour you have inside it. There’s a bit of condensation in the picture here, but that’s just because I’d left it in the sun for a while. 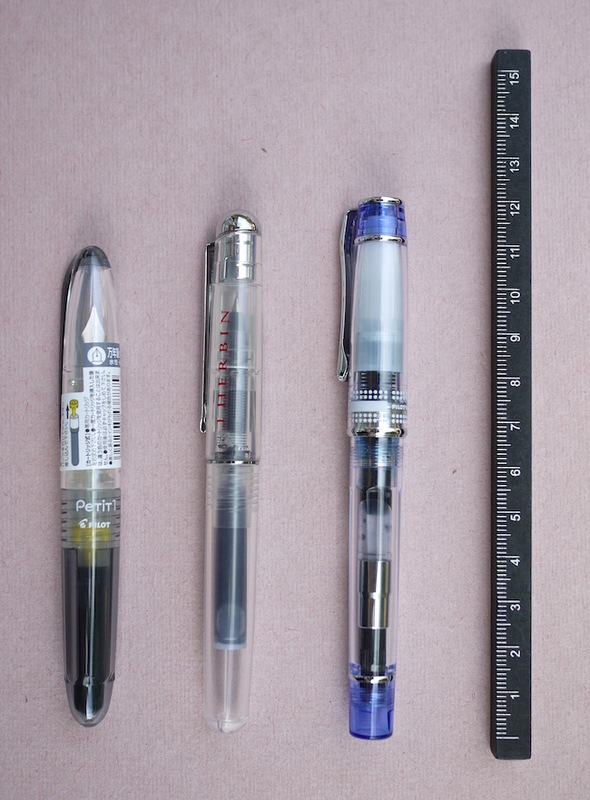 It’s quite a small pen, which suits me well – here for comparison next to a Pilot Petit and Pilot Prera. Somewhere between the two. So how does it write? Ok, well as a caveat, I think mine is slightly faulty as I did have some problems writing on shinier paper. On matte paper, it worked great, and I think this colour works better on this kind of paper too as it sinks in and spreads a bit, making it more visible. Above is me trying it out on a Field Notes. It wrote well, with no skipping. 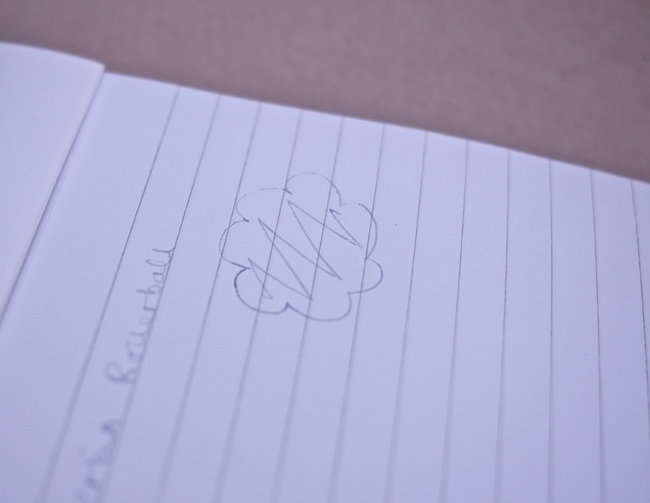 I’m not sure if you can really see it here, but on Rhodia No. 13 Paper (Ice White pad) it struggled. On the cloud maybe you can see where it skips. But as I say, I think this was a faulty one because looking at other reviews I can only see praise for this pen. I think as I’m used to gel inks in rollerballs, this did feel different to me. Slightly less smooth, but that’s because of the thinner ink, I guess there’s less lubrication. 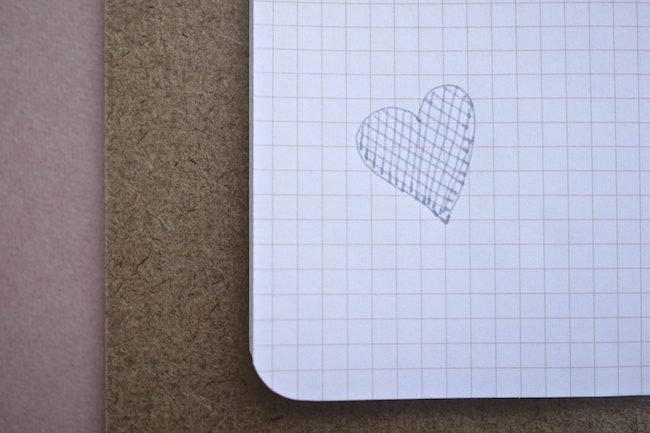 It felt more like writing with a fountain pen. Along with the simple design and the fact that it’s easily refillable with everyday ink cartridges, the best thing about this pen is the price! It’s £5.95, which I think it pretty bloody good. This is a great every day pen, maybe one to shove in my bag. As long as I stay away from shiny paper. The refillable ink cartridges are certainly an intriguing concept for a rollerball pen! 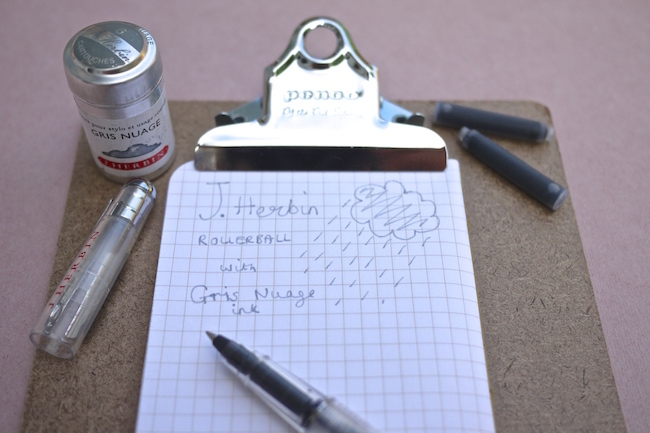 I recently found some J. Herbin inks in a local stationery shop, and was pleasantly surprised by the price – The illustrations on the ink cartridge tins are wonderful! I know – they’re really reasonable! And I love trying to translate the names too and working out what they mean! If you want to change ink colours can you wash it out? I’ve not tried myself but I’ve seen others say that they’ve been able to clean it out and use different inks in it.